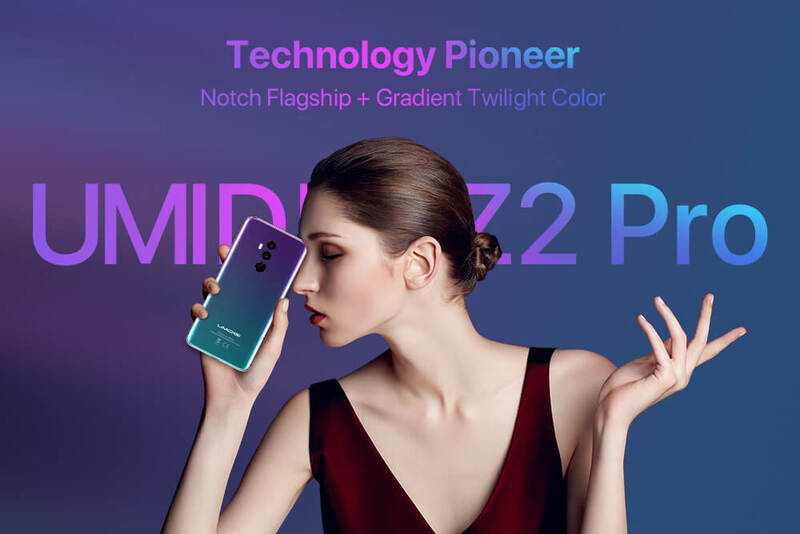 UMIDIGI has finally announced the highly anticipated UMIDIGI Z2|Z2 Pro flagship phone. 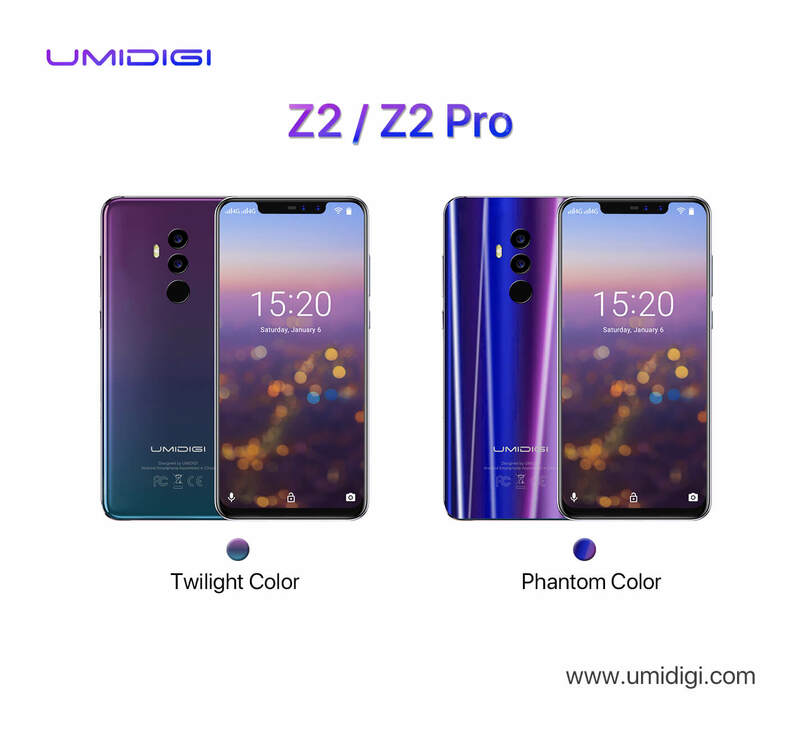 The major attractions of the UMIDIGI Z2 series are that it features gradient twilight color, Helio P60 AI-driven chipset(Z2 P23), quad 16MP+8MP AI camera and supports 15W world’s fastest charge. When it comes to the front design, the UMIDIGI Z2 series appears quite similar to the Huawei P20. It measures 153.4 x 74.4 x 8.3 mm and weighs 165 grams(slighter than Huawei P20 serie. Though Z2 Pro has less ). 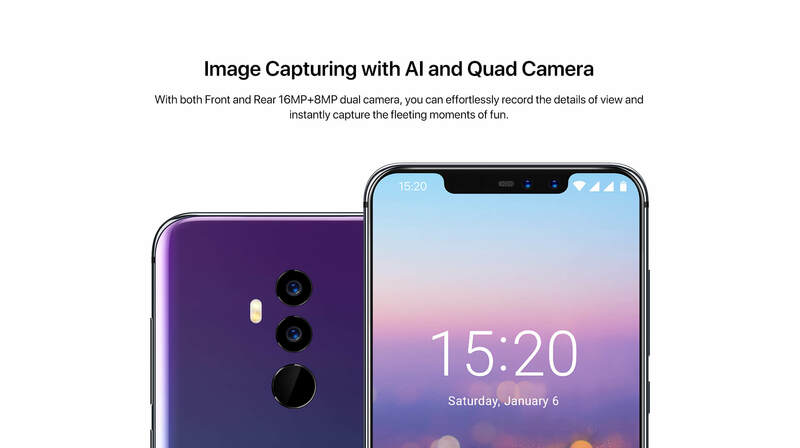 UMIDIGI Z2 series adopts 6.2-inch 19:9 Full HD+ resolution of 1080 x 2246 pixels super full-screen, has 90% screen-to-body ratio, it features 7000-series aluminum frame and four-sided glass body, which enables easy wireless charging. A smartphone that comes in gradient colors catches the eye. The UMIDIGI Z2 series flagship comes in three colors, Black, Twilight and Phantom. The twilight and phantom versions sport an innovative gradient color finish on the back of the phone. 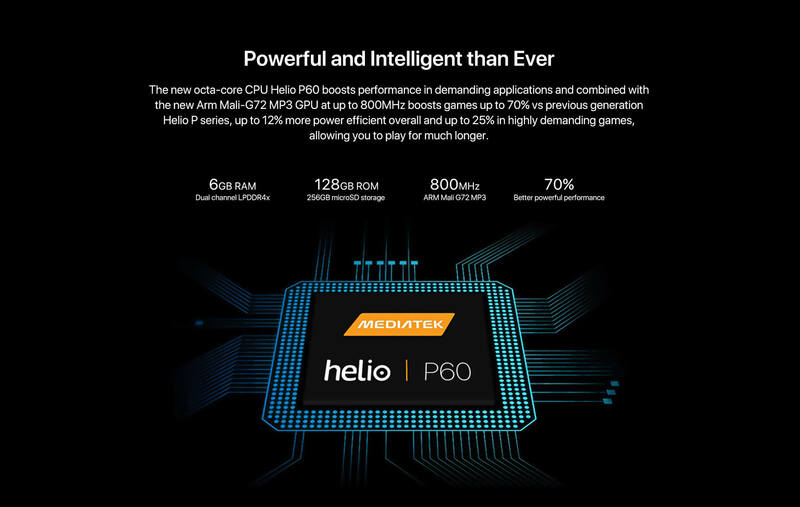 The Helio P60 chipset coupled with multi-core AI Processing Unit powers the UMIDIGI Z2 Pro. One of most attractions is that It supports dual fast charging, specially 15W Qi fast wireless charging, which is fastest in the world. The wireless charging pad made available for UMIDIGI Z2 Pro can be also used for charging other Qi compatible phones. UMIDIGI Z2 series could be fully charged within 70 minutes via 18W fast cable charging while within 100 minutes by 15W fast wireless charging. All the variants of the UMIDIGI Z2 series feature a microSD card slot. It is running on stock Android 8.1 Oreo out of box. The UMIDIGI Z2 series is the first phone in its series to feature dual camera on both side. The main rear camera features an f/2.0 aperture 16-megapixel, Samsung sensor. 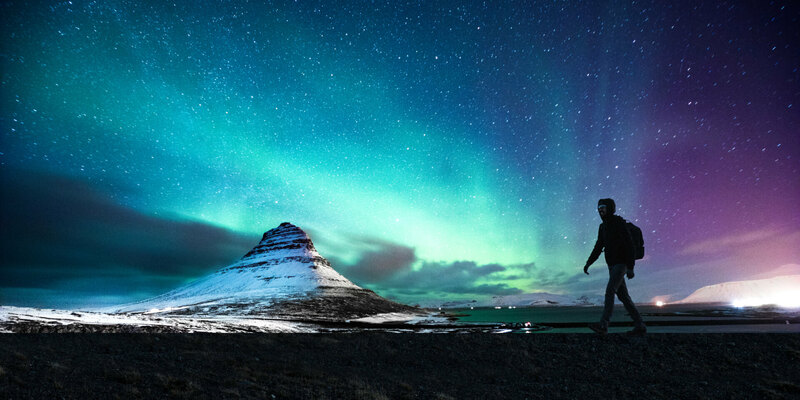 It is coupled with a secondary 8-megapixel, which is specially designed for shooting in the dark and is an incredibly powerful combination with 16MP main camera to take clearer photos in low-light conditions. The dual rear cameras can capture impressive bokeh effect shots by effectively blurring the background and focusing more on the subject. With the help of AI, the UMIDIGI Z2 Pro could shot better photograph in low-light conditions with rich details. The dual 16MP+8MP selfie sonsy camera is also capable at snapping amazing bokeh effect shot through AI. The UMIDIGI Z2 series includes support for face unlock through the front camera. On the back of the UMIDIGI Z2 series is fitted with a fingerprint reader. 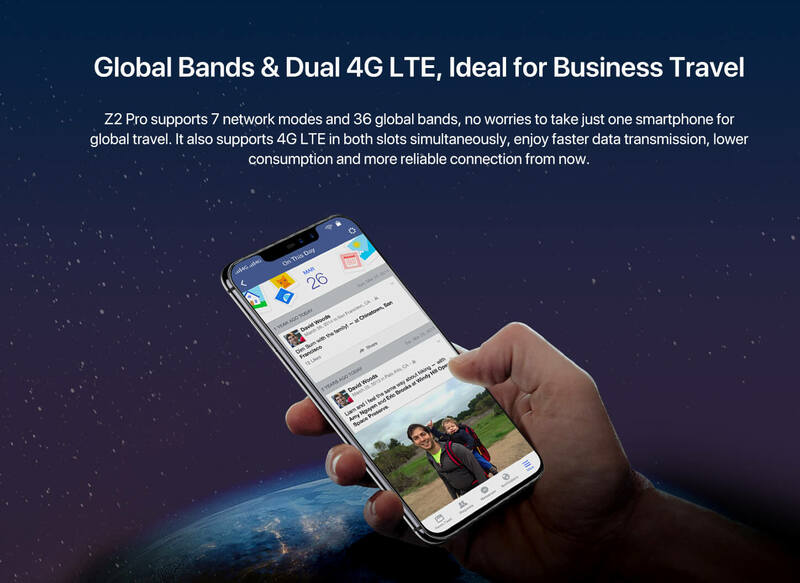 The connectivity features available on the UMIDIGI Z2 series include global bands, it supports 7 network modes and 36 global bands, dual-SIM, supports 4G LTE in both slots simultaneously, Type-C. But for pro version UMIDIGI Z2 Pro, It has one more function, NFC. 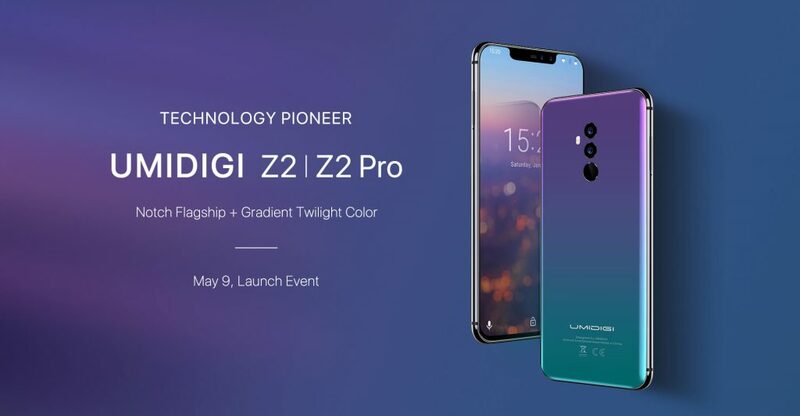 Presale UMIDIGI Z2 will start soon from $249.99 with $50 off at Gearbest, presale UMIDIGI Z2 Pro will start one month later after Z2.